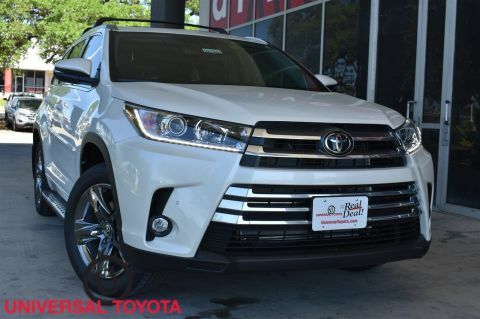 Window Grid Diversity Antenna, Wheels: 19 5-Spoke Dark-Chromtec Alloy -inc: black center caps, Valet Function, Trunk/Hatch Auto-Latch, Trip Computer, Transmission: Electronic 8-Speed Automatic (ECT-i) -inc: sequential shift mode w/dynamic rev management, snow mode and uphill/downhill shift logic, Transmission w/Oil Cooler, Toyota Safety Sense P and Rear Cross-Traffic Alert (rcta), Towing Equipment -inc: Harness, Tires: P245/55R19 105S AS. 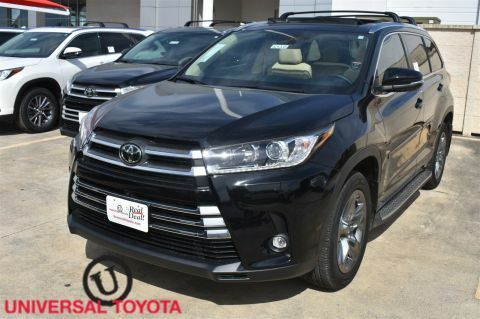 This Toyota Highlander has a strong Regular Unleaded V-6 3.5 L/211 engine powering this Automatic transmission. 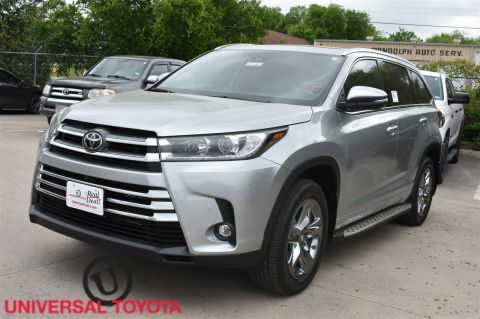 * Experience a Fully-Loaded Toyota Highlander Limited Platinum *Tailgate/Rear Door Lock Included w/Power Door Locks, Systems Monitor, Strut Front Suspension w/Coil Springs, Steel Spare Wheel, Splash Guards, Single Stainless Steel Exhaust, Side Impact Beams, Seats w/Leatherette Back Material, Safety Connect -inc: emergency assistance, stolen vehicle locator, roadside assistance and automatic collision notification, Available by subscription, Roof Rack Rails Only, Roll-Up Cargo Cover, Remote Releases -Inc: Power Cargo Access, Mechanical Fuel and Keyfob Rear Window, Remote Keyless Entry w/4 Door Curb/Courtesy, Illuminated Entry, Illuminated Ignition Switch and Panic Button, Rear HVAC w/Separate Controls, Rear Cupholder, Rear Child Safety Locks, Rain Detecting Variable Intermittent Wipers w/Heated Wiper Park, Radio: Entune Premium JBL Audio w/Nav & App Suite -inc: the Entune Multimedia Bundle (8 high resolution touch-screen w/split screen display, AM/FM CD player, MP3/WMA playback capability, 12 JBL GreenEdge speakers, auxiliary audio jack, USB 2.0 port w/iPod connectivity and control, advanced voice recognition, hands-free phone capability, phone book access and music streaming via Bluetooth wireless technology), Siri Eyes Free, Entune App Suite, Intelligent Touch controls, SiriusXM Satellite Radio w/3-month complimentary SiriusXM All Access trial, HD Radio, HD Radio predictive traffic and Doppler weather overlay, AM/FM cache radio, Gracenotes album cover art and integrated backup camera display w/dynamic gridlines, Radio w/Seek-Scan, Clock, Speed Compensated Volume Control, Steering Wheel Controls and Internal Memory, Proximity Key For Doors And Push Button Start. 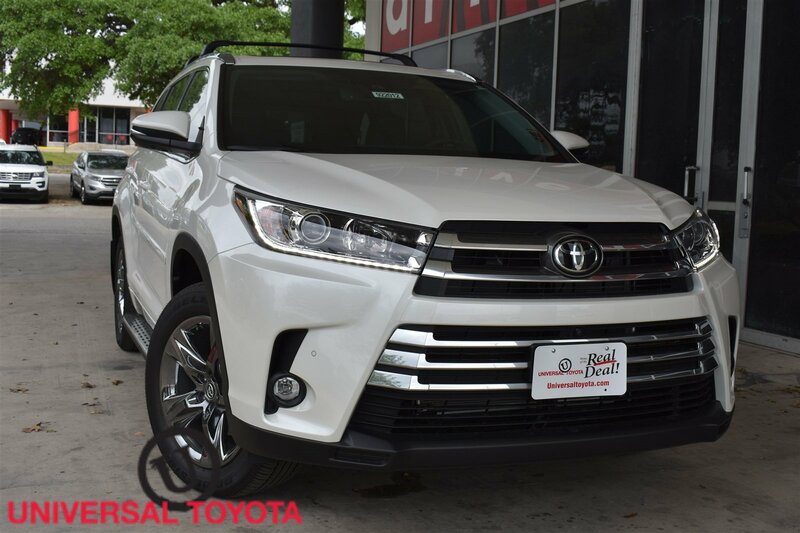 * Visit Us Today *Stop by Red McCombs Universal Toyota located at 12102 IH 35 North, San Antonio, TX 78233 for a quick visit and a great vehicle!